What are we really learning at conferences? Are conferences worth our time? 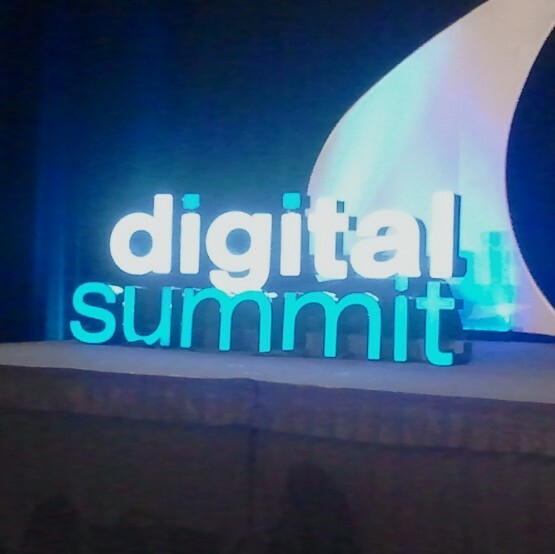 I spent the last two days at Digital Summit 2012 conference in the Atlanta area. As today neared the closing session, I was reflecting on some notes I had taken and I thought “what am I really learning from all this?” Certainly it’s a question that attendees, presenters, sponsors, and booth marketers ask themselves at conferences. Was the conference worth the cost, energy, and time spent? – It’s a chance to network and find out what others are doing in my industry. – It’s a chance to listen to speakers talk about how they have solved problems we all face. – It’s a chance to find leads and prospective clients. – It’s a chance to find new ideas to help us solve problems. Well maybe. My experience is that groups of people from the same organization tend to hang-out with each other and not network all that much. As I look around a room when speakers are talking, I see a large percentage of people checking email from work and not really listening to the speaker. As with most everything we do in life, we get out of it what we put into it. There are different conference formats. If you have never attended a BarCamp you should so that you can compare different conference styles. I have twice attended Product Camp Atlanta for product managers and marketers. These conferences are less structured, often with participants voting on the topics to be discussed. Participants are encouraged to become part of the presentations in a knowledge-share and discussion format. Sales pitches are discouraged and can be “booed” by participants. Now I’m not promoting BarCamps over the traditional trade show conferences. I’m just pointing out various styles. Whether the conference is full of vendor booths, speaker sessions, or collaborative learning groups, we still get out of it what we put into it. Digital Summit had a few recurring themes. If I had to summarize all of the presentations I heard at Digital Summit this year it would be: Use data to measure how people are interacting with your brand so that you can influence them take some action (purchase, share, converse). Nothing earth shattering with that statement. It covers some the basics of marketing. But as you would expect at a digital marketing conference, there was heavy emphasis on analytics, advertising, mobile, social, and search. I found some speakers engaging and others not so much. Michael Loban of InfoTrust saying that “what gets measured get’s done”. Loban talked about data existing in context. Marketers should understand the data in context and find what is actionable. In a talk about mobile development Jim Zimmerman of Thuzi discussed the importance of navigation in mobile design. It should be simple and clutter free. Consumers won’t navigate burdensome sites on a mobile device. Tony Haile of Chartbeat gave a unique presentation because he didn’t use any slides. He made the content of his speech engaging and relevant. One key thought from Haile was that real-time data is useless unless you setup your organization to respond quickly to events. The idea of the adaptive business is to create fast tactical responses to achieve better results. He used Toyota and the US Marines as examples of this concept. At the end of the day, conferences are about making connections with people in our professional game. Just like a professional athlete works to sharpen their skills, a professional knowledge worker must do the same. I’ve coached youth athletics for almost ten years and one thing that is a must for any coach wanting to stay on top of his game, is networking with other coaches to trade knowledge. It usually involves exchanging ideas on different drills to run for certain skills. That’s the same concept as sharing information at a conference. Fresh ideas and new insights. So what are really learning at conferences? We’re learning to stay connected with people. We’re learning to share knowledge. We’re sharpening our skills because the next time we play our professional game we want to score more. So let’s score more. In fact, in your professional game you can run-up the score. If you were at Digital Summit 2012 or have other thoughts on professional conferences I’d like to hear from you.